The growing excitement about the potential of immunotherapy treatments for cancer continued at the 2015 meeting of the American Association for Cancer Research (AACR), one of the largest cancer research meetings of the year. Several Dana-Farber investigators presented encouraging results of immunotherapy for melanoma, lung cancer, and breast cancer. F. Stephen Hodi, MD, and Leena Gandhi, MD, gave reports on recently published results for immunotherapy trials in melanoma and lung cancer, respectively. Their findings were simultaneously published in the New England Journal of Medicine. “This field has changed a lot in the past few years and even in the past few days,” said Hodi, director of Dana-Farber’s Melanoma Center and Center for Immuno-Oncology. The AACR meeting saw a surge of early results from new immunotherapy trials. These treatments, which restore the body’s immune system to kill cancer cells, “are now mainstream and will continue to be,” said Hodi. Results from the study by Hodi and colleagues could alter the current first-line treatment for advanced melanoma that has spread within the body. Standard therapy uses the immunotherapy drug ipilimumab, or Yervoy, which blocks the checkpoint protein in cells that helps tumors escape the body’s immune defenses. The clinical trial found that combining ipilimumab with another immunotherapy drug, nivolumab, which targets the PD-1 checkpoint, was much more effective than ipilimumab alone when given as initial therapy to the melanoma patients. Using the combined therapy, tumors shrank in 61 percent of patients and lengthened their progression-free survival. However, the increased toxicity associated with the combination requires caution and further study, said Hodi. A different immunotherapy drug, pembrolizumab, is being tested in a trial of patients with advanced non-small cell lung cancer, and encouraging results were reported by Gandhi, of Dana-Farber’s Lowe Center for Thoracic Oncology, senior author on the study. Pembrolizumab disables another “brake” protein, PD-L1, which protects cancer cells from attack by the immune system. In the trial, 19 percent of patients’ tumors shrank, and the median duration of those responses was over a year. The trial showed patients fared better if at least half of the cells in their tumors contained the PD-L1 protein; this confirms that measuring PD-L1 can predict patients’ response to pembrolizumab. Another immunotherapy trial testing an experimental compound in patients with hard-to-treat metastatic triple-negative breast cancer revealed “early signs of durable clinical activity.” Ian Krop, MD, a medical oncologist with the Susan F. Smith Center for Women’s Cancers at Dana-Farber, was senior author of the report on the trial of the drug, which unleashes the immune system by knocking out a molecular brake, PD-L1, in the breast cancer cells. The researchers said the results are exciting because long-lasting results in this aggressive disease have been difficult to achieve with chemotherapy. A trial led by Ursula Matulonis, MD, medical director of the Gynecologic Oncology Program in the Susan F. Smith Center, found that a combination of two targeted drugs – the PARP inhibitor olaparib and an investigational PI3K inhibitor, BKM 120 — was safe and showed activity in triple-negative breast cancer and ovarian cancer, confirming what had been demonstrated in animal models. There were just some of the many presentations by Dana-Farber scientists at the AACR meeting. 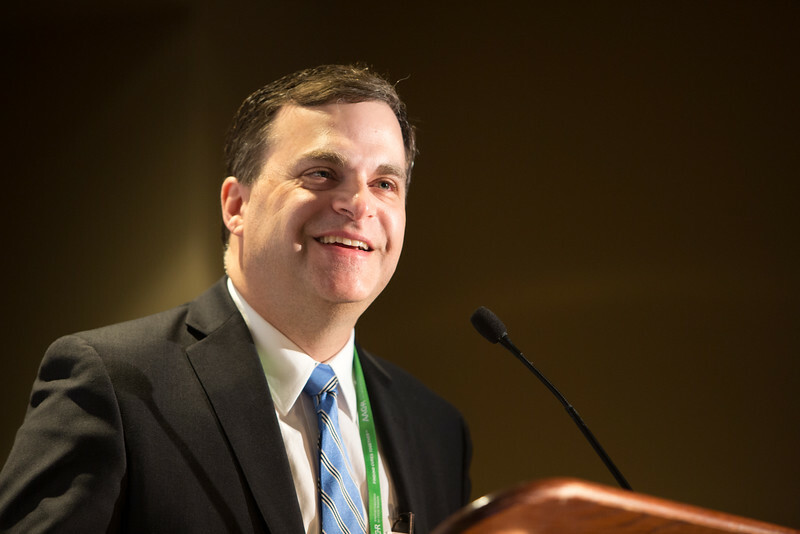 Read more about this year’s 2015 AACR Annual Meeting, including recognition for Dana-Farber’s William Hahn, MD, PhD and Ken Anderson, MD.